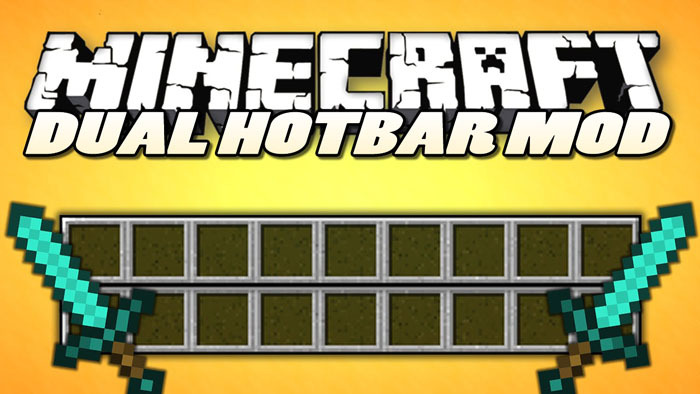 Dual Hotbars Mod 1.11.2/1.10.2 gives you a 18 slot hot bar. By default this is rendered as two rows of 9, but can be changed in the config to be 1 row of 18. The upper slot is taken from your top row of inventory items. This mod gives the player access to more slots of his inventory without being forced to open it. While a second hotbar is added by default, up to four hotbars (= the complete inventory) can be activate in the config file. The second hotbar will display the top row of the player’s inventory.